Old Navy has their Biggest Boxing Day Ever this year! Get up to $100 off in-store purchases for the first 100 customers. 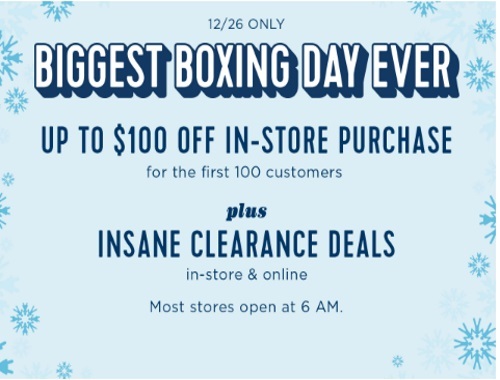 Plus get insane clearance deals in-store and online. Most stores open at 6am.